One of the problems when renting a car for your holiday is that the car is not exactly the friendliest means of transport for the environment. Although there are ways to travel more (or less) polluting, cars are not characterized by their low environmental impact. However, taking into account this impact manufacturers recently have started to focus their attention on creating new models of cars to reduce carbon emissions and other environmental impacts. 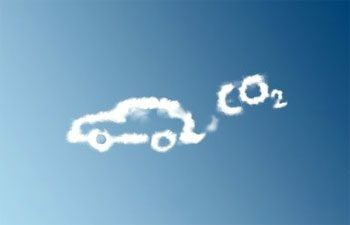 So if you’re about to take a holiday in Malaga and the Costa del Sol and dream of renting a car to explore the surroundings, but you are also aware of the importance of reducing carbon emissions, you don’t need to worry: Malagacar.com has added some green cars to its yearly renewed fleet, perfect for getting you where you want, without any remorse. Get your green car hire in Malaga: With the wide variety of rental options for green cars, you won’t have any trouble finding the perfect car for you, whether you travel alone or you plan a family vacation with children. Whatever your vacation destination on the Costa del Sol, renting a car is an excellent option to explore all the attractions the province of Malaga has to offer. If you are planning a trip to the country side a rental car can be the essential element of your trip. A rental car is also very handy for city breaks in Malaga, as you can get from one place to another quickly and conveniently and discover the city from another dimension. Now more than ever, it is possible to rent a green car and enjoy all the advantages of renting cars without remorse, so you just have to worry about enjoying your trip.